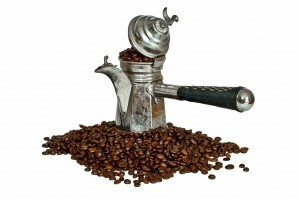 Coffee has enjoyed a long and rich history of being one of the most popular beverages in the world. Some of the oldest records of coffee production date back to ancient Africa, Persia and Egypt, in a day and age where local growers took great pride in the quality of coffee beans they produced. We say that to say that coffee is neither uniquely American nor anything new. It has been a worldwide commodity for centuries. As for the U.S., it has been an enduring staple of the office since the end of World War II. 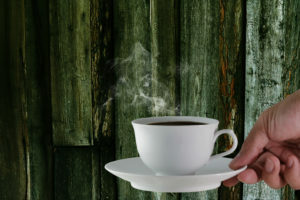 There are plenty of explanations for the office coffee phenomenon; most are rooted in some sort historical perspective while others simply cite America’s inability to get anything done without some sort of stimulation. Let us look at a couple of the possible explanations in more detail. Coffee was not very big in America prior to the Revolutionary war. Being that most of the colonists were of British heritage, tea was the hot beverage of choice in the 13 colonies along the East Coast. The Boston Tea Party changed all of that. The American colonists were so incensed by Britain’s tea taxes that they began drinking coffee instead. We have not looked back since. As American coffee consumption grew, so did importation and new ways of roasting. Coffee gained enough popularity to become the hot beverage of choice by the turn of the 19th century. However, the two world wars of the early 20th century resulted in coffee rationing among the general population. In World War II, for example, the average consumer was allowed no more than one cup per day. Like Prohibition merely increased the thirst for alcohol, coffee rationing made people want it even more. By the time the war ended, everybody wanted coffee. So much so, that coffee became the fuel that ran America’s businesses by the 1950s. That is where we are today. Another possible explanation, with no relation to the Revolution or the two world wars, boils down to a simple matter of culture. Coffee has always been a drink associated with social discourse, and most of us spend just under one-third of our lives in the workplace. Coffee may be a staple of the American office because it brings a small amount of culture and social interaction to the workplace. Who doesn’t like standing around the coffee machine and enjoying a good conversation at break time? On the other hand, it really could be that coffee is an enduring staple in the American office because we just cannot get by without several jolts of caffeine throughout the day. Maybe we really are just hooked. Nonetheless, in the end, does it really matter? Probably not. Galaxie Coffee knows how important America’s beverage staple is to your office. That is why we provide the greater New York area with the world’s finest coffees, teas and other beverages. You depend on your morning cup of coffee to get things started at the beginning of the day. Two or three more cups keep you going as you make your way through the 9-to-5. Meanwhile, growers around the world are carefully cultivating their beans with full knowledge of how much you depend on them. Rounding out the picture is an army of roasters, distributors, retailers and companies such as Galaxie Coffee who make sure consumers get their daily fix. We say all of this to introduce you to the idea that changes occur within the coffee industry all the time – changes you probably are not aware of because they do not directly affect what you put in your cup every morning. Nevertheless, there are some big changes on the way that you may begin to feel within the next couple of years. Those changes are directly related to Arabica coffee production and perceived climate change. Whether you believe climate change is a reality or not, there are enough people in positions of power convinced it is a reality. They are armed with a new round of data that suggests some of the most productive tropical regions producing Arabica coffee right now could be damaged by climate change in the future. They say the data suggests a local temperature increase of just a degree or two would make it impossible to continue coffee production at current levels. The solution? Move coffee production to cooler areas. Arabica coffee is the preferred coffee worldwide. It accounts for 70% of all coffee production and is second only to oil in terms of its importance as a global commodity. The problem for growers is that Arabica is especially sensitive to temperature. If temperatures get too high for sustained periods, the resulting beans will not have the same mild and inviting flavor that consumers have come to expect. Throw in a lack of adequate rainfall and a crop could be unmarketable altogether. Whether climate change researchers are right or wrong will not change much in terms of perception. Most of the world already accepts climate change as a scientific fact, leading both governments and businesses to make preemptive changes now. We expect some of the world’s coffee producers to begin looking in earnest for new areas of production not likely to be as sensitive to climate change as others. This could lead to a loss of production and an increase in prices at both the wholesale and retail levels. How soon we start seeing price increases depends on how soon producers start looking for new locations. It could be as early as a few years from now; it might not start happening for several decades. However, it probably will happen one way or the other. Here at Galaxie Coffee, we will continue to serve our customers with the best office coffee products regardless of what happens. We are committed to your complete satisfaction with every single cup.